Much mingling and scientific discussion ensued at the daily poster sessions. Here Jeff Brosius (Catholic Univ. of America) listens as Jiong Qiu (Montana State Univ.) 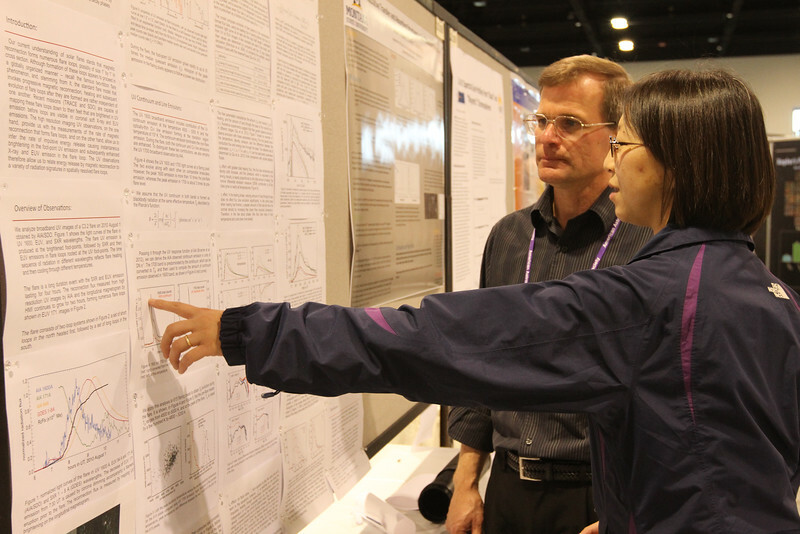 points out the key results on her poster about the ultraviolet signatures of solar flares. AAS photo © 2012 Joson Images.